As part of the process that we have already undertaken bringing Laserburn 15mm and Tabletop Fantasy 15mm as well as Historical 15mm (all on 15mm.co.uk) and of course the 28mm Tabletop Barbarians back to the wargaming world Alternative Armies is now moving onto the next stage of this process with the classic Torture Chamber range. Click through for the full article. Alternative Armies has two great offers for all your wargamers who are into in Flintloque and also High Fantasy wargaming. This weekend between now and 9am GMT Monday 7th September 2015 we have taken twenty percent (20%) off the regular prices of the following two core codes in our ranges on all their options. 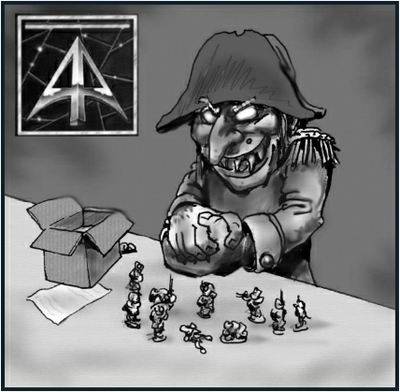 Coming end of this month for Flintloque the start of a brand new army. The ruined kindgom of Pudigrochumsberg which will feature infantry, cavalry, command, artillery, characters and more begins today with a preview of the sculpts by Sam Croes for the Line Infantry and Line Casualties as well. Destined for 28mm scale white metal these great looking black powder fantasy miniatures will make you bark with delight! 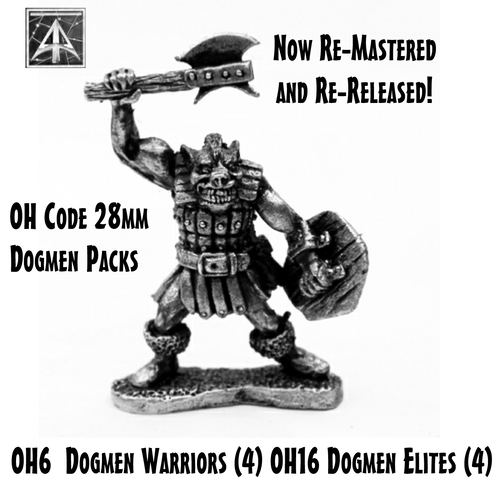 Eight classic 1990's Alternative Armies white metal 28mm scale Dogmen now re-mastered and re-released. Let slip the savahe hounds of war! 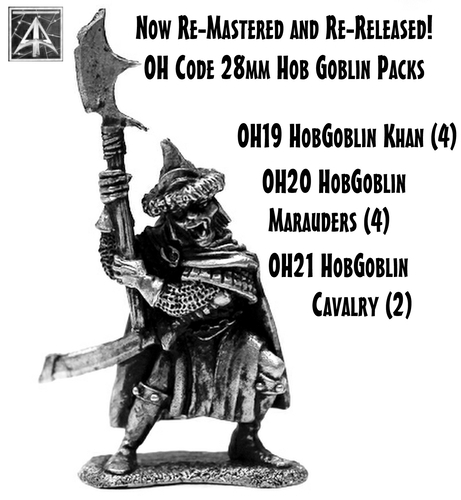 Following up on other OH codes of Goblins and Hob Goblins these are suitable for any wargame system. Click through for more information and images.